By now you probably have your Easter dress and accessories laid out and ready to go. If you have little ones, their outfits are perfectly ironed. Your menu for Easter brunch is impeccably planned and everything on your shopping list has been crossed off. No? Not even close? Okay, so if you’re anything like us, Easter kind of snuck up on you this year. Don’t freak out! There’s still plenty of time to make sure Sunday will be packed with yummy food and fun times with your family — and Pin-worthy photo ops of course. For starters, think outside the box. While Easter traditions are great, try incorporating some new elements this Sunday to shake things up a bit. 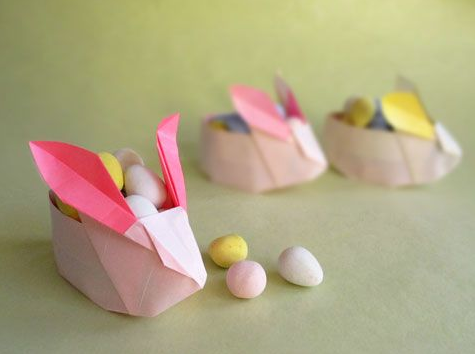 If you don’t want to spend money on Easter egg baskets, try making some origami bunny baskets. It’s a more affordable alternative and they’re much easier than they look! As for the easter egg hunt, why not make your kids use their thinking caps to get to their sweet treats? 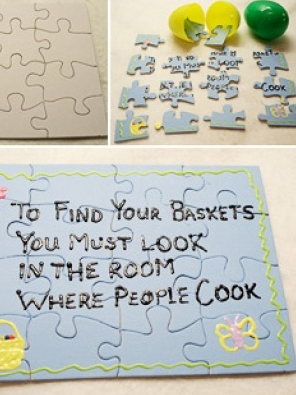 Place a puzzle piece in each hidden egg — the puzzle will eventually tell them where the candy is hidden. 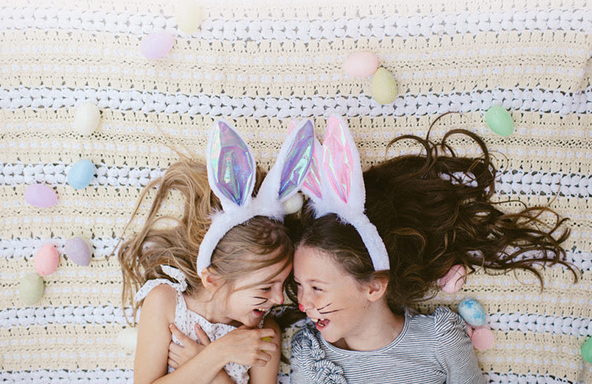 If you don’t have any children joining your get together this year, decorating runway inspired Easter eggs could add some high-fashion flair to your Easter party. On to brunch. To make things simpler come Easter morning, make one of your main dishes on Saturday. 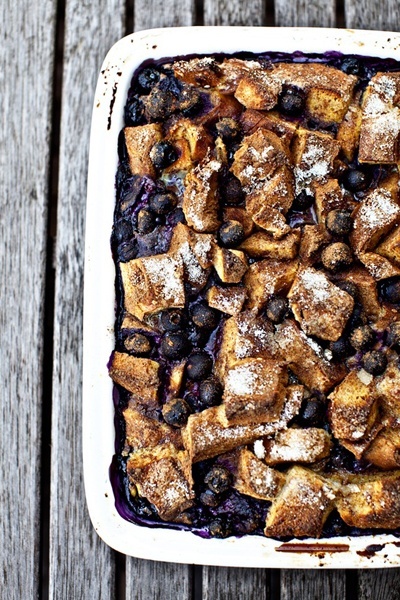 Try a blueberry french toast bake. The hardest part of the recipe can be done the night before and refrigerated. All that’s left to do in the morning is bake and add some fresh fruit! Lastly, Easter doesn’t always have to call for a floral dress. Try pastel pants and a simple neutral top. Add some feminine loafers or flats, toss on a statement necklace to dress it up, and you’re good to go. You’ll still look Easter appropriate and you’ll be MUCH more comfortable running around with your kids, nieces or nephews! Are you celebrating Easter this Sunday? Let us know how you’re “shaking it UP” in the comments.